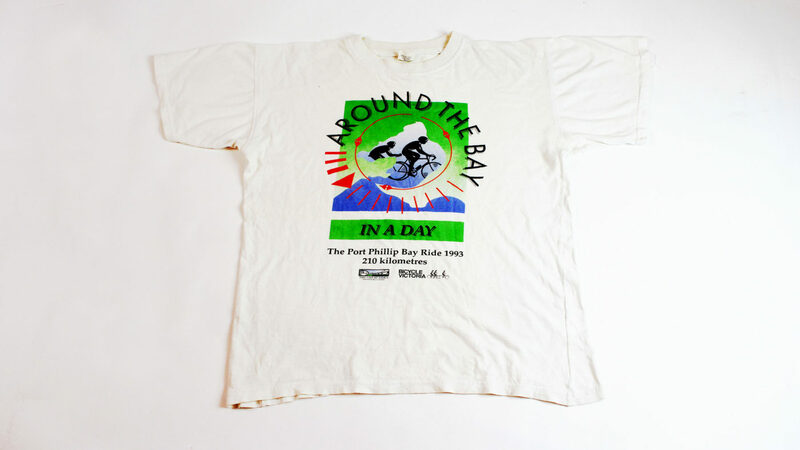 A tshirt from the first ever Around the Bay event in 1993. While this year’s United Energy Around the Bay will be the first big bike ride for some people, others will saddle up for the 27th time. 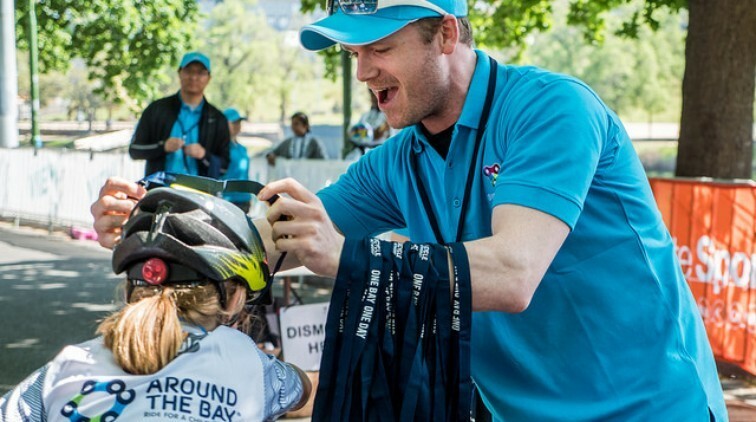 A lot has happened since the first ambitious bike ride around Port Phillip Bay in 1993, including infamous ferry incidents and testing weather conditions. See the full history of the event that has become a bike riding rite of passage. 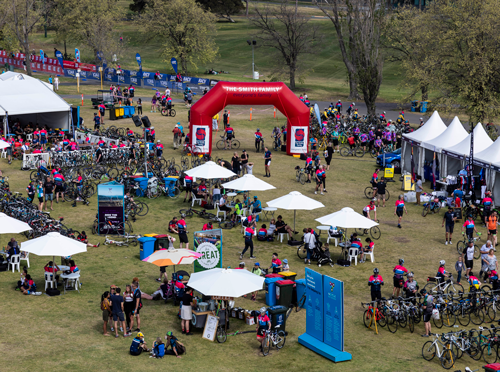 Bring friends and family to celebrate your ride at The Village at Albert Park. Pack a picnic blanket, grab your spot on the lawn, and enjoy all the post-ride festivities on offer. 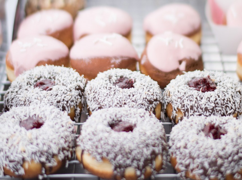 Whether it’s a hot snack or cheeky dessert, it will all be ready and waiting after your ride. There’s kids entertainment galore! Make sure you visit the kids zone with face painting, an animal farm and much more. Grab your team mates, friends and family, kick back, enjoy the atmosphere and reward yourself with a drink at handle bar. Visit the cycling expo to see hot new products and explore a range of goodies available at a one-off bargain from our exhibitors. These family friendly rides are open to all ages and kids under 15 ride free! Riders must be 12 or older on the day of the ride. Riders under the age of 15 must be accompanied by an adult. Riders must be aged 15yrs or older on the day of the ride. How can I collect my rider pack? Rider pack collection times will be confirmed closer to the event. Alternatively, if you paid for postage before 23 August, you can expect to receive your rider pack in the mail from the 13 September. Is a jersey included in my entry? A bonus event jersey is included with all entries to United Energy Around the Bay before the early bird deadline (Sunday 30 June). Please note, the bonus jersey offer is not available for kids taking advantage of the free ticket option. Can I transfer my ride entry? To transfer your ride entry please give us a call on 1800 639 634 or contact us via our website. You can also arrange the transfer in person during kit collection. There is a $10 event transfer fee. To the 2020 Around the Bay event. The Clubhouse lets you come together with your team and other riders to celebrate the ride post event. 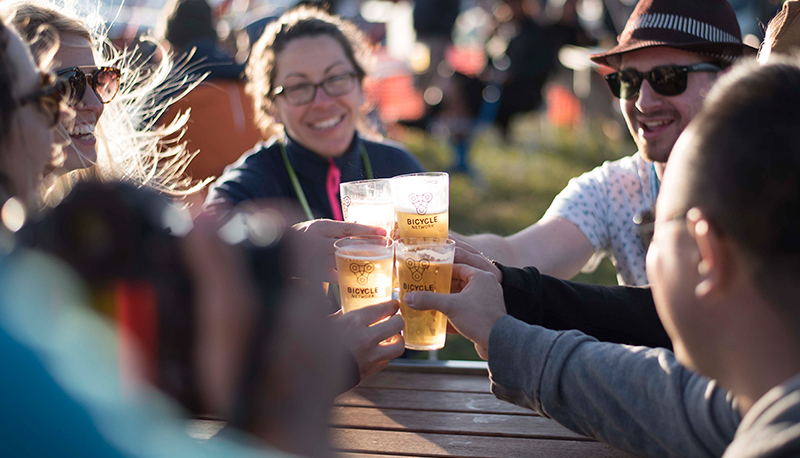 Whether you want to cheer on your team as they come across the finish line or simply enjoy a drink and gourmet food with friends, it’s the perfect way to wrap up your day. Entry is restricted to participants over 18 years of age, and must be pre-booked. If you’ve already purchased your entry to please contact us to secure your spot. Help us do more for people who ride bikes. 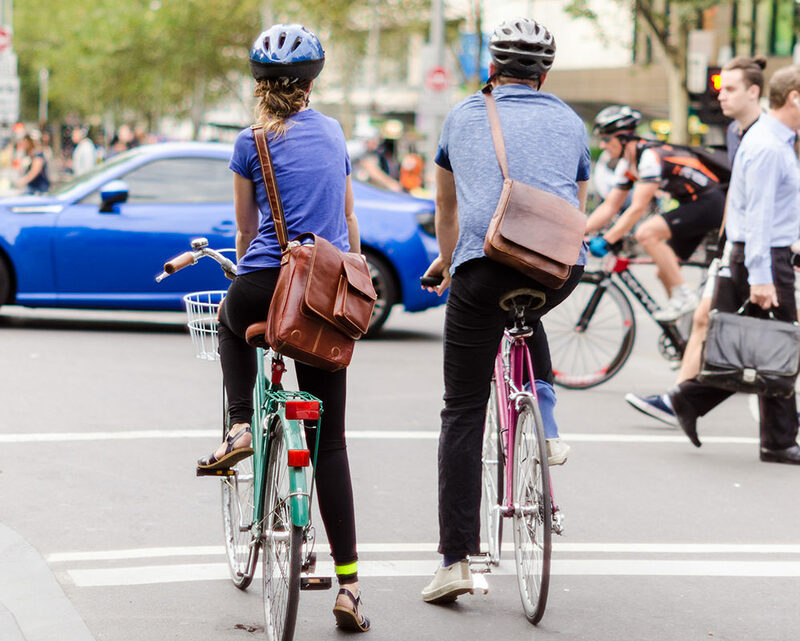 With nearly 50,000 members in 2018 we took a stand for people who ride and made sure that bikes weren't forgotten across all major transport projects. To ensure the event is run as smoothly as possible, there will be a number of partial/full road closures and changed traffic conditions that will apply on the day. We will continue to update this site should details change. United Energy Around the Bay could not be run without the support of so many enthusiastic volunteers. 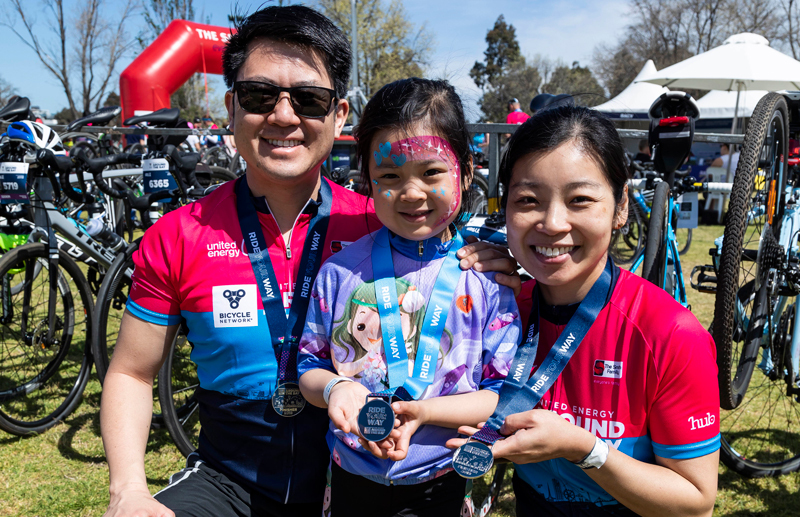 Each year we have more than 400 wonderful team members who help raise funds for The Smith Family and support more than 10,000 riders who pedal the United Energy Around the Bay. It you’re interested in volunteering or know someone else who might, please hit the link below and register.